There are still tickets available for Anderson School's Parker Center for Family Business' symposium on October 23, 2015 from 8:30 a.m. to 5:00 p.m. at Sandia Resort and Casino. Tuition remission can be utilized for this event! The symposium includes presentations by keynote speakers, a luncheon speaker, afternoon panel presentation with family business members sharing successes, near misses and failures, and breakout groups focusing on pertinent operational topics for family-owned businesses. 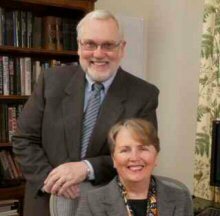 Keynote Speakers Bonnie Brown Hartley Ph.D. & Michael T. Hartley CFP, AAMS will be introducing THINK AHEAD: Family Enterprise Fire Drills for Strategically Integrating Contingency Planning. To register for the event, please click HERE. An agenda can be found HERE. For more information contact Sonja Romero at (505) 848-1800, ext. 1668 or sonjar@modrall.com.